The Kindergarten Readiness program is based upon the belief in the individual worth of each child. We recognize the value of each child’s uniqueness and believe that no two children learn exactly alike. Our program encourages children to be an active learner in a nurturing environment that is designed to encourage interaction in developmentally appropriate ways through hands-on activities, experimentation, manipulation, and exploration. We recognize the importance of educators and parents working together as partners to accomplish the challenge of educating our children. We both support and encourage parental participation in our program. and physical while promoting the necessary skills for each child to become a lifelong learner. The Kindergarten Readiness program is designed for children who will be 4 years old by September 1. 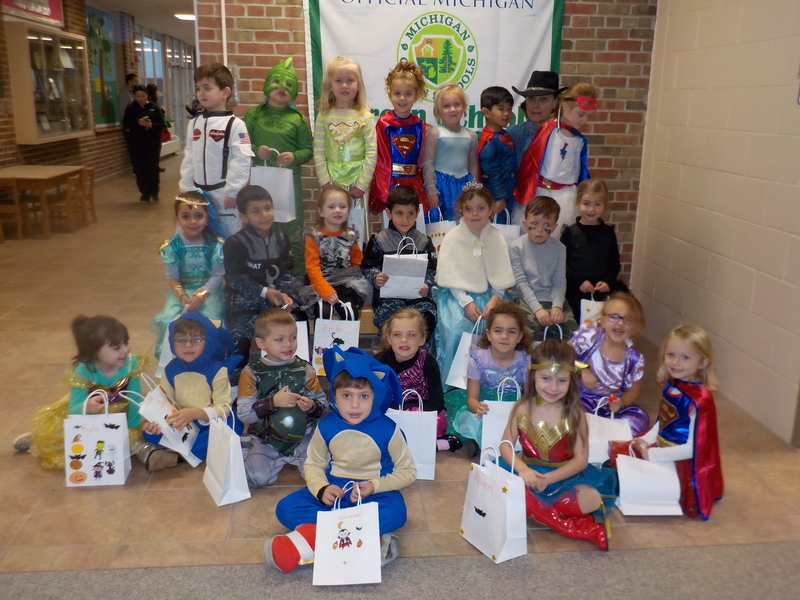 Students can enroll in the Kindergarten Readiness program for a full day ( 8:15am-3:00pm) or half-day class beginning at 8:15am and concluding at 11:30am. In Religion, we will pray using spontaneous prayers and the Sign of the Cross. We will celebrate the liturgical seasons of Advent, Christmas, Lent and Easter. We will show gratitude to and love and care for others. We will show respect and care for all living things. We will celebrate mass every Wednesday beginning in January. In Social Studies we will learn about diversity, community roles, geography, history, and ecology. By exploring areas of the school community and its culture. The children will begin to assimilate into the community and understand what it means to be a productive citizen of that community. Science: Insects and seeds and water — oh my! Everything in the environment is fair game for a Kindergarten Readiness child’s curiosity and that curiosity is the root of all science. Science takes the form of specific thematic experiments and follow-up on child-driven questions about nature and the world. Kindergarten Readiness children observe, classify, predict and draw conclusions, while using various tools and technology. In Social and Emotional Development; As students progress through the year, we will focus self-identity, empathy, community, building relationships, cooperative play, moral development, and conflict resolution are addressed in a developmentally appropriate and engaging way. The year culminates with expressing gratitude and performing acts of kindness, leading into constructive activities to take mindful action in the world and improve the lives of others. Programs in which children work on recognizing colors, numbers, and shapes. Games in which students have to match objects. Games which develop fine motor skills by requiring children to move and click the mouse. 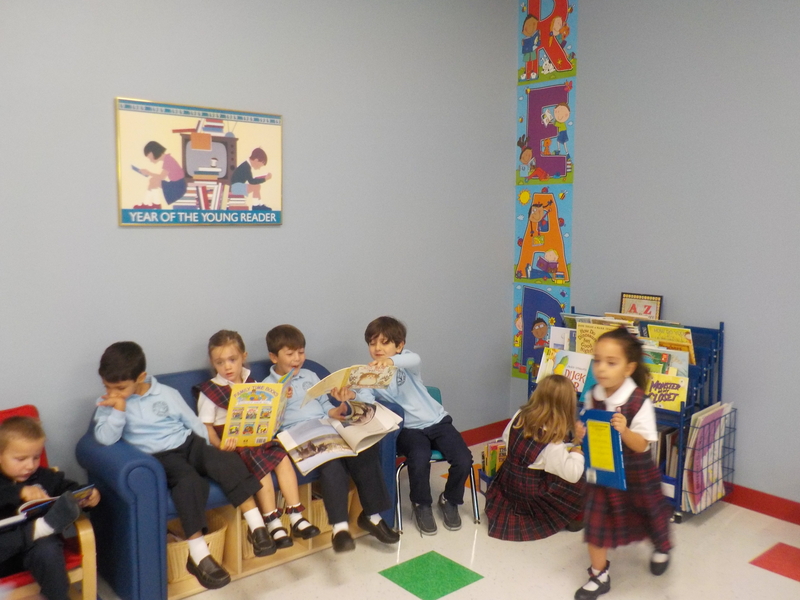 Language, Literacy and Communication: In order for children to be kindergarten-ready, literacy is a core component of St. Hugo’s Kindergarten Readiness curriculum. Children are provided with a print-rich environment and exposed to a variety of language experiences. Circle times are filled with posing questions and opportunities for children to freely express themselves. The language and reading concepts that children participate in are comprehension, speaking, vocabulary, phonological awareness, alphabetic knowledge, reading, concepts of print, book knowledge, and writing. Performing in the annual Christmas Pageant in December. Physical activity is very important for our overall development and growth. Moving the different parts of our bodies, sitting up, rolling, crawling, walking, running, jumping, holding, and manipulating different materials or objects are examples of ways in which we use our bodies to explore our environment and learn about the world. Students are introduced to developmentally appropriate physical activity experiences, allowing children an opportunity to accumulate 60 minutes a week of physical activity. • Develop a positive self-image. • Develop skills in critical thinking and decision making. • Develop good safety habits. • Be able to perform movement patterns. 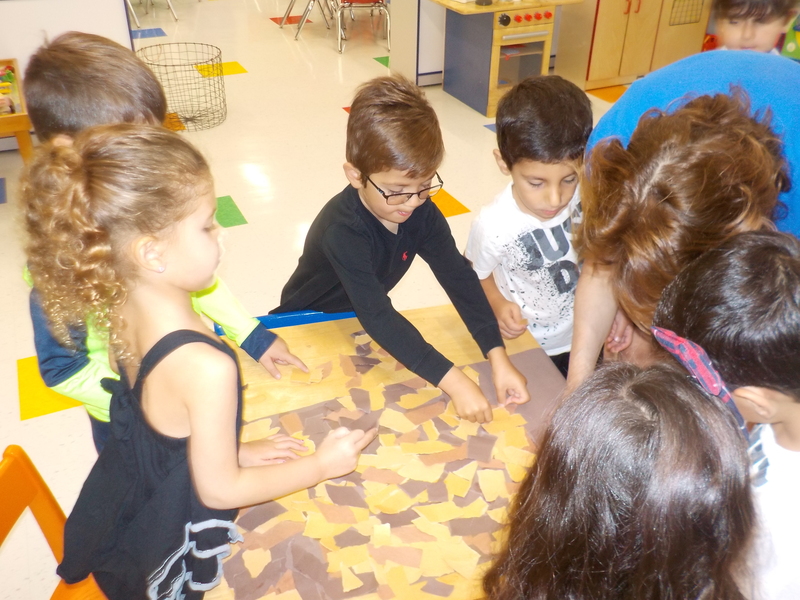 Kindergarten Readiness art classes desire to spark a positive art experience for each student as well as acquisition of the tools, skills, confidence, and fascination to explore different mediums and subject matters.